How Safe Are Our Railway Tracks In Nigeria? Abuja As A Case Study! It is no news that gradually our railway system is coming up and people seem to embrace it. 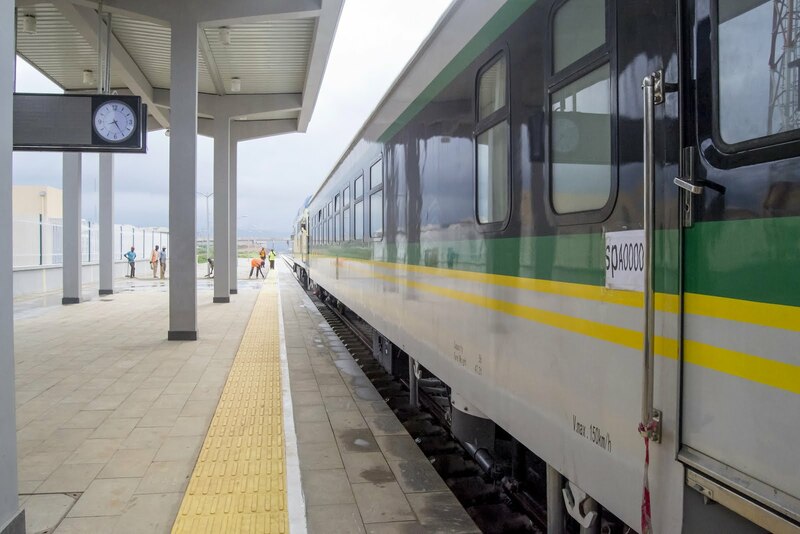 For people living in Abuja, they now find it easier boarding the train which is faster, cheaper and helps to get to their location on time. AutoReportNG was having a chat with a resident and he said, since I tried boarding the train from Kubwa to Airport, I have not regretted it, now, I park my cars and board the train. It is even closer to my work since I work at the Airport, I just take a stroll into my office. Even the passengers from Nnamdi Azikwe have the same story to tell! Gone are those when you wait endlessly for a taxi and in most cases they either rob, scam or hike the price with the railway that is working all thanks to the Goodluck Jonathan Administration and which was completed by the President Buhari regime, Nigerians have a cause to smile, save and be proud of its nation again. As good as all these may sound, we are sure that if the minister of transportation is reading this, he will be a happy man! We need to sit down and draw out some security means on our railway system. Some months back, the minister of transportation, Rt Hon. Rotimi Amaechi was quoted as saying that the reason why the Abuja-Kaduna trains cannot run faster than 90km/hr was because the ministry does not want locomotives killing cows. According to the minister, the other day they tried 100 and they killed how many cows, and they said ‘you people should replace the cows you killed. “From that day, I have said let us maintain the 90km/h; at 120km/h you get to Kaduna in one hour. You can work in Kaduna and live in Abuja. 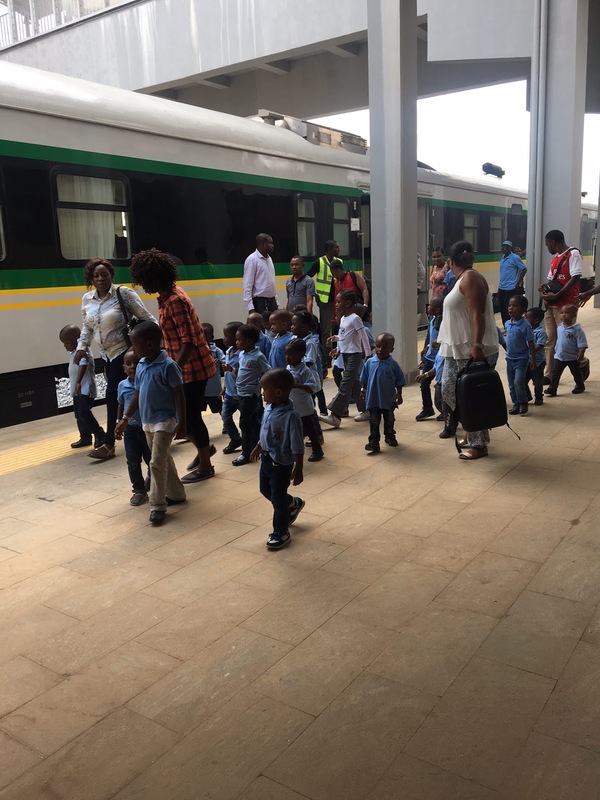 Just today, a Twitter user reported that a train from Kaduna to Abuja stopped abruptly before Kubwa station because some naughty school children were playing on the rail track, the police have to get them arrested. This brings to lots of questions as to how safe is our railway system in Nigeria? At first, it was cows that were sleeping on the rail lines and now children were playing, what measures were taken into place to effect a safer railway to the users, drivers and to the nation as well? Imagine if this had happened in a crowded place like Lagos it would have been a disaster. Gone are those when railway tracks were covered with gates and danger lights to warn drivers ahead of dangers, they are also fenced to guard against an unauthorized person from the track. The questions on our lips are, are there safety signs for passengers, children, and livestock? Has the federal government taken time to educate the herdsmen who take joy on grazing on railway tracks on the dangers of these trains and the havoc it can cause to their lives, livestock and also to the passengers? Have we educated our kids at school on the dangers of playing on train tracks? Do we have an emergency unit within the Nigerian Railway Corporation that can respond to emergencies in case of accidents or SOS? - Pedestrians, cyclists, and users of other wheeled mobility devices must obey railway crossing laws just as motorists. The only place you may cross is at an authorized and properly marked railway crossing preferably use the footbridge if it is in the vicinity. - Most of the time when a child does get hit it’s because they weren’t paying enough attention. - Children must be taught that trains can’t stop quickly. They need to adopt the steps of 'Stop, look, listen and think' when at a pedestrian level crossing. - Children should always be supervised around public transport. Hold the hand of children up to five years old when crossing rail lines. - Observe and obey all warning signs and signals. - Never walk down a train track; it's illegal and it's dangerous. By the time a locomotive driver can see a trespasser or a vehicle on the tracks, it is too late. - The tracks are the railway servitude in which the rails are. - Railway tracks, overhead wires, yards, wagons and equipment are private property and trespassers are subject to arrest and fine. - Railway tracks should not be used as a shortcut or a walking trail. - Trains overhang the rails by a metre in both directions and loose straps hanging from rail cars may extend even further. If you are in the right-of-way next to the rails, you can be hit by the train. Keep a 5-metre safe distance from the rails. - Do not cross the tracks immediately after a train passes. A second train might come on the other line and your view may be blocked by the first. Trains can come from either direction. Wait until you can see clearly around the first train in both directions. - Look both ways when approaching the track(s) - Never try to beat an approaching train. - If you're a pedestrian, avoid stepping onto the rail while crossing, as it can be slippery. - When cycling, always cross the tracks at right angles to the rails. - Wheelchairs, prams, and strollers should always cross the tracks at right angles to the rail so that the wheels don’t get trapped. - Best advice - Look in both directions - Listen carefully for a train coming - Stop if necessary -If there’s no train, cross straight to the other side of the track. - The train drivers always get stressed when people are not paying attention to oncoming trains. Communicate with the driver that you are aware of the train with a thumbs up sign and wave him a goodbye when he passes you safely, it will make your day. - If a train is coming, wait for it to pass, and then stop, look, listen and think again before crossing. - Another train may be coming. - Never jump fences, gates or barriers at crossings. - Never force barriers open except in case of an emergency. - Be careful with carbon fibre fishing rods near electrified lines. Always carry the rods horizontally. - Do not climb on the electrification structures or over the sides of footbridges. Always keep a distance of 3 meters away from the electrical wires. - Do not attempt to hop aboard railroad wagons, locomotives or equipment at any time. A slip of the foot can cost you a limb or your life. - Do not walk, run, cycle or operate all-terrain vehicles (ATVs) on railroad tracks or rights-of-way or through tunnels. - Be alert near railroad crossings and stop for approaching trains. If the lights are flashing or the gate is down, wait for the train to pass before crossing. It is never okay to rush across and try to beat the train. Trains may be closer and faster than you think. - Allow enough space for your vehicle to completely clear the entire railroad crossing, not just the tracks, before you attempt to cross. Remember, trains are at least three feet wider than the tracks on either side, so even though you clear the tracks, you may still get hit by the train. - After a train passes the crossing completely, wait for the gate to come back up and the lights to stop flashing. Then look both ways again before you cross to be sure a second train is not coming in either direction. A second train may be hidden behind the first one.